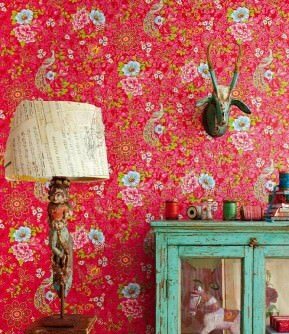 Floral wallpapers speak their own language - they convey Zeitgeist, memories, emotions and values. 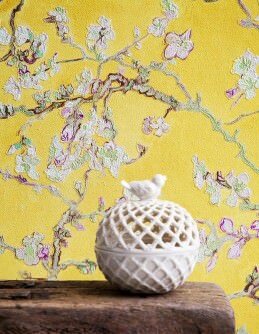 These patterned wall coverings playfully combine a purist beauty and daring compositions. 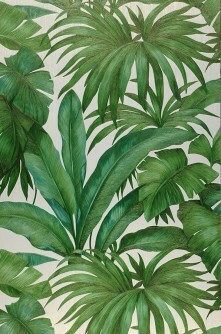 Elements from Art Nouveau, Baroque or Pop Art bedeck a room with exceptional noblesse. 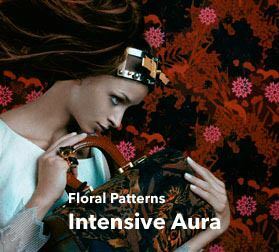 “As you like it”, to quote Shakespeare: Sophisticated luxury created by beautiful bouquets and mystical colour combinations, hip glamour reflected in stylised Pop-Art blooms, romantic playfulness depicted in delicate Mille-Fleur design. 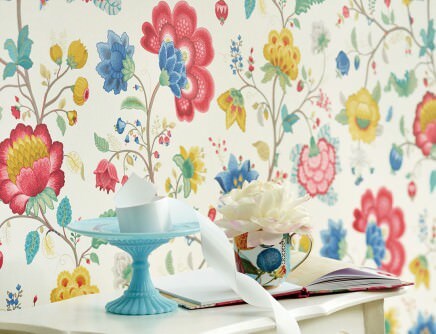 The floral wall coverings of the exclusive wallpaper collections offer a multitude of creative variations. 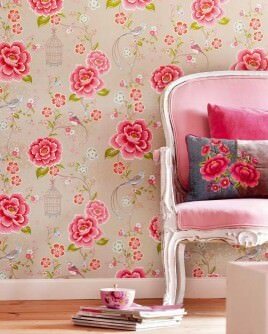 Floral patterns lend a fascinating aura to private residences as well as business premises; they provide immediate charisma and attraction. 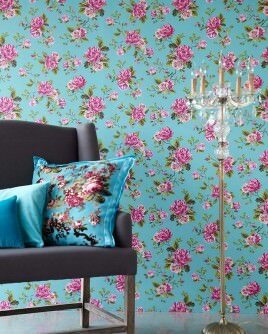 Depending on structure, colour, design, flower size, and stylistic extras, floral wallpaper can help create captivating themes and reflect individuality. As the proverb says: “Bread feeds the body, but flowers feed the soul”. 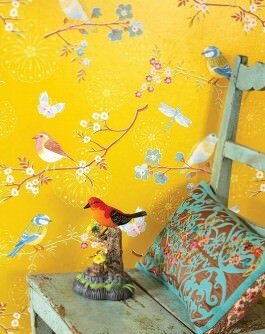 And this goes for wall coverings, too. 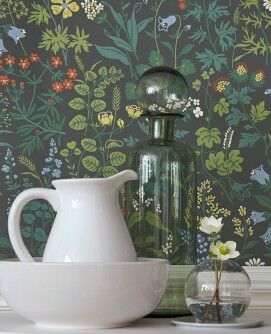 Blooming landscapes transcend the ordinary and create a bouquet of joie de vivre and enthusiasm, of delicate or solid compositions - we invite you to choose your very personal floral wallpaper. 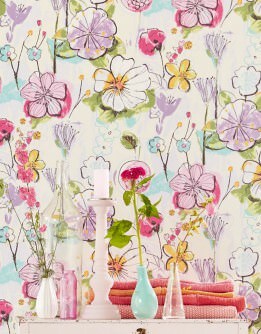 To find the right floral wallpaper in our assortment, you can simply let your emotions lead the way. Indulge in memories, awaken clandestine sentiments or invite the Zeitgeist of historically significant époques of art into your home. 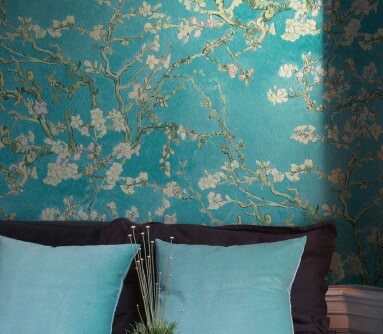 Floral wall coverings are perfect for anyone looking for that special je ne sais quoi, whose discerning tastes embrace classically beautiful wallpaper in a flower motif as well as ultramodern floral designer wall coverings. 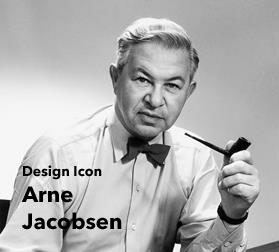 The large range of variations in our online shop is testament to the fact that classic designs with an innovative twist can also be contemporary.